February 25, March 25, April 29, May 27, June 24, September 30, October 28, and November 25. 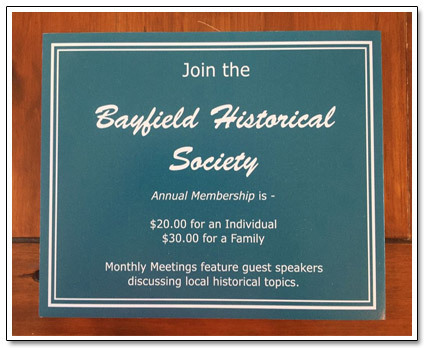 New members to the Bayfield Historical Society are always welcome. New memberships or renewals can be arranged at General Meetings or by contacting: Deborah Curran at bhsmembers@gmail.com. 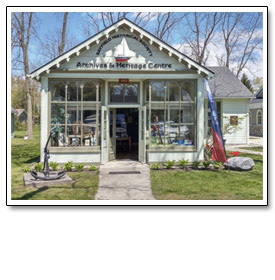 Volunteers help to operate the Society's Heritage Centre and Archives. Help is always appreciated and training is available to welcome visitors or to assist in scanning or classifying photos and archival holdings. Email us if you are interested: .